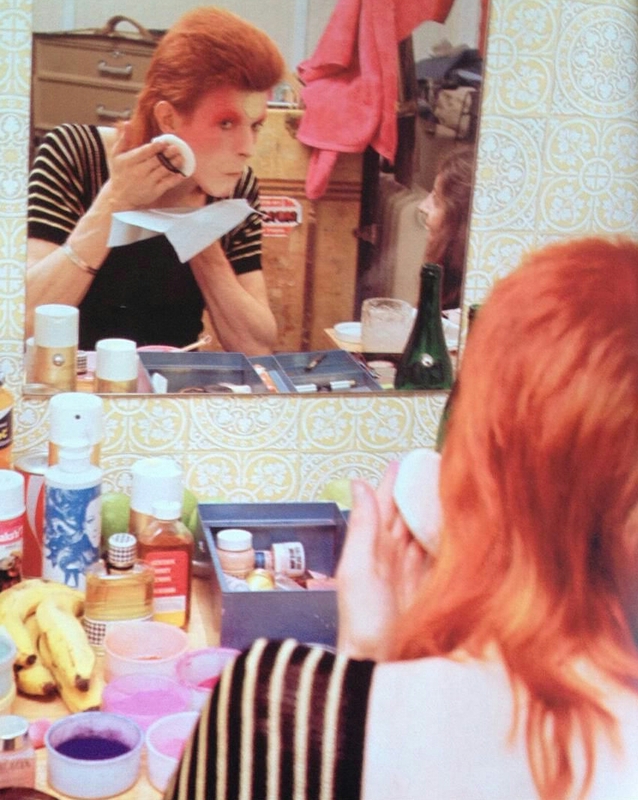 These pictures were taken by Mick Rock during David Bowie’s British tour in 1973. 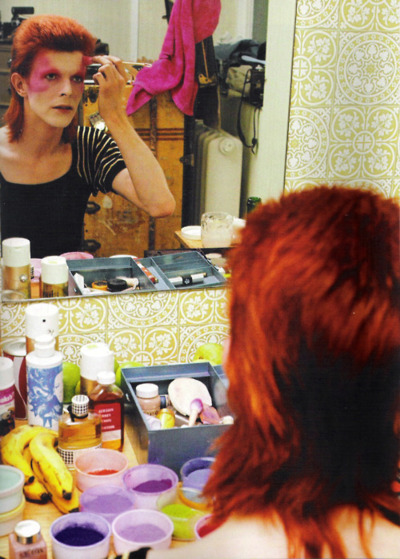 On his busy dressing table you can see a Dior houndstooth bottle. My first thought went to the Diorissimo cologne, but the front label is not visible, so it’s impossible to say what perfume he wore. 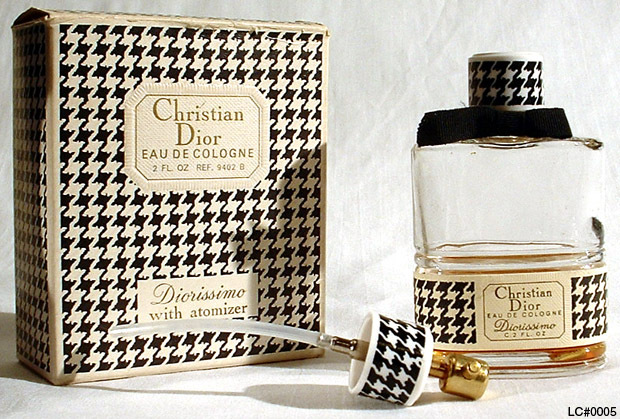 Plus, many Dior perfumes were marketed in the houndstooth bottle (some examples here). I really think it’s Eau Fraiche (fifties unisex) myself. The implication that the houndstooth bottle plus black bow and splash bottle equal Diorissimo cologne is not 100% foolproof (spotted in some other entries from movies as well). It’s fun to look at the entire vanities of real people! Great photos selection! Dior used the same bottles for different perfumes. The houndstooth one is particularly tricky because it could contain so many different scents. This one was probably Eau Fraiche, but I can totally see Bowie wearing Diorissimo in that specific time of his life and career.